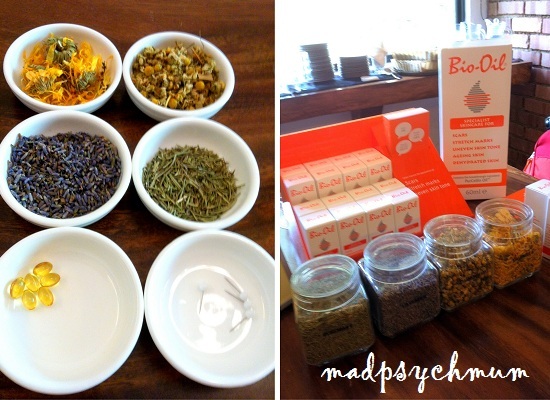 Two months ago, I was invited to a bloggers tea with Bio-Oil at Spruce (Phoenix Park) to learn more about their products. To be honest, I have never heard of Bio-Oil before their invitation but a fellow mum blogger said it was good so I thought I will go check it out. We were introduced to the ingredients of Bio-Oil, which includes vitamins A & E and natural plant oils such as Lavender, Calendula, Rosemary and Chamomile. 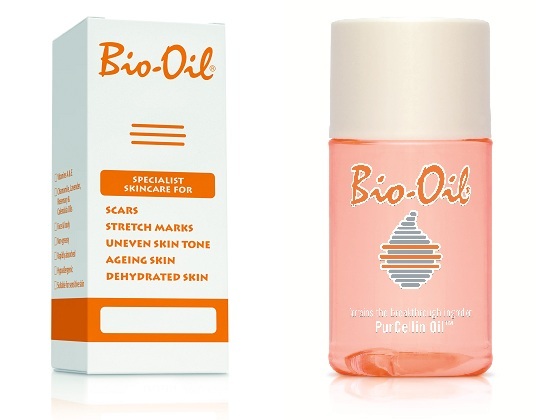 Also containing PurCellin Oil, which ensures that the active ingredients are easily absorbed into the skin without leaving an oily residue, Bio-Oil helps to improve the appearance of scars, stretch marks and uneven skin tone. It is also effective for combating ageing, dehydrated skin and even split ends. Its versatility is also why Bio-Oil is the winner of numerous beauty awards both in Singapore and all over the world. I was pretty impressed by the long list of uses of Bio-Oil, which can also be used for both the body and the face as well as for children above 2 years old. 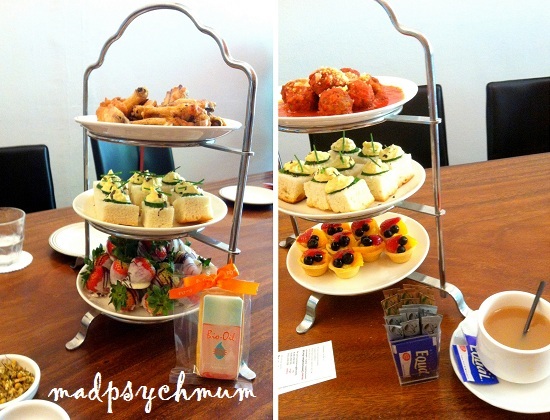 After the presentation, we were treated to tea and some snacks. We were also given a bottle of Bio-Oil to take home to try. I wanted to give myself a period of time to try it out first before blogging about it so an opportunity came when we were in Hokkaido and the dry climate caused our faces to crack. As Bio-Oil is suitable for applying on the face and does not cause acne, it was the "weapon" of choice for us. The hubby tried some and was skeptical at first but told me an hour later that it was surprisingly effective. Initially his skin felt like it was "cracking" and it was very painful but after application of Bio-Oil all over his face, he could feel a difference and it was less scaly. My reaction was, "Really?! Wow, I must put some of it too.. hand it over!" I still can't comment on Bio-Oil's effectiveness for stretch marks and scars as I'm still in the process of testing that out (will definitely update on this in future). Disclosure: An invitation to this event and a complimentary bottle of Bio-Oil were received from Bio-Oil Singapore for the purposes of this review. No monetary compensation was received; all opinions are my own.